The Chicago Non-Sport Card Show welcomes Dan Gorman to the Spring Show! 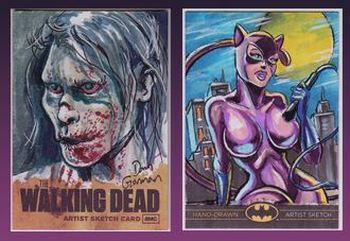 Dan is no stranger to trading cards, having done work for almost every manufacturer currently producing sketch cards. This includes 5FINITY, Breygent, Cryptozoic, Cult Stuff, Frank Eachus Publishing, Galen's Sketch Cards, Marty & Boo's Cards, Rittenhouse, Unstoppable Cards, Upper Deck, Viceroy Cards, and his newest gig: sports card sketches for Leaf Trading Card's 2013 Best of Hockey set. Dan will have original art and prints available. Click on the images on the left to go to his site. You might think about having Dan do something for you to pick up at the show. That way you'll be sure to get what you are looking for! Due to circumstances beyond his control, Charles will now be at the show on Saturday ONLY. Charles is a self taught artist who works in both traditional and Digital art. 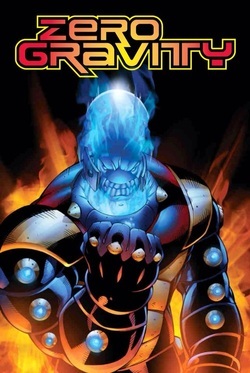 He is the Creator, Artist, and Inker of his own comic; Zero Gravity. He's also an illustrator at Hound Comics. Charles will have artwork available at the show, and will also be accepting commissions to be picked up at the show. His rates are $5-10 for a sketch card, $35 for an 8x11 and $70 for 11x70. Connie Faye brings her unique gothic style to the show for the 3rd show. Stop by and see what's new. 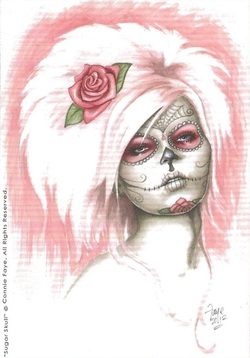 She'll have original art, prints, and even some promo cards with her artwork on them. Unfortunately Connie has had to cancel her appearance. We hope to be able to see her at a future show.